This is my second post for the Townlands blog. The first one was a familiar townland, close to home. 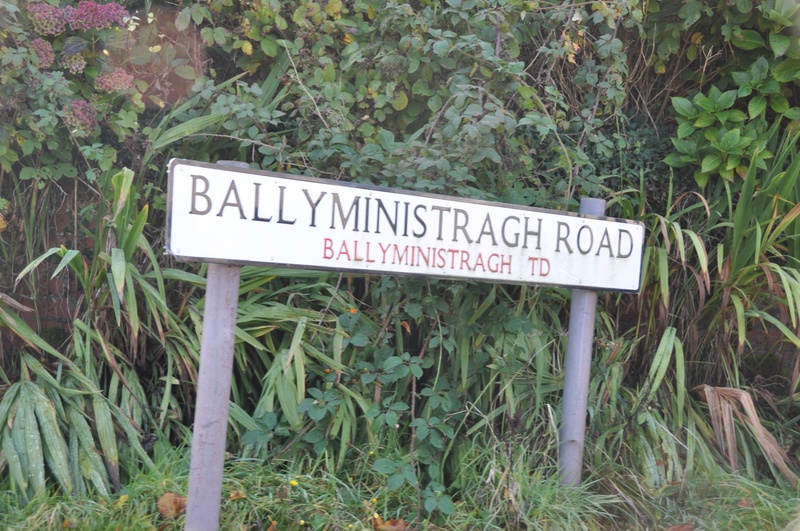 This second one – Ballyministragh – is completely new to me. 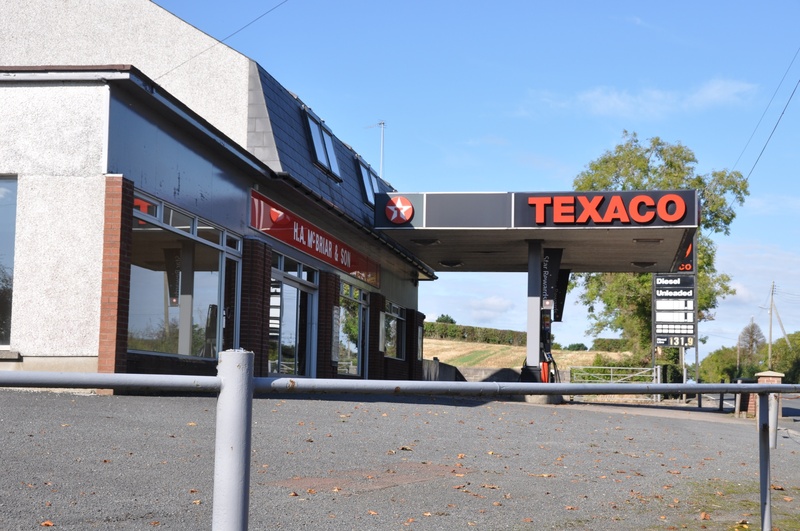 To be honest, all I knew about Ballyministragh before researching this post, is that you could refuel there when driving on the A22 road between Comber and Killyleagh. So I explored Ballyministragh to see what I could learn. The A22 road runs right through the townland from north to south. The junction with the Ardmillan Road is a rough indicator of the northern boundary of Ballyministragh; and the southern boundary is the River Blackwater, near the crossroads with the Ballybunden Road and the Craigarusky Road. 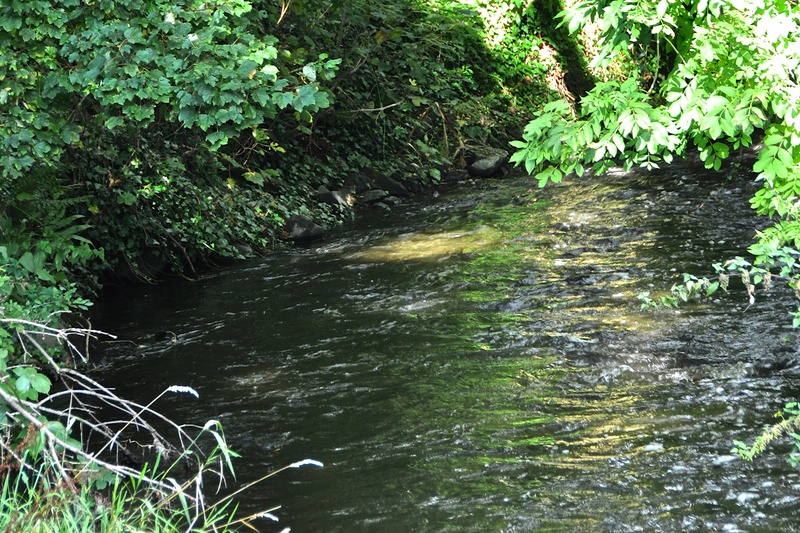 This photo was taken from the Balloo side of the Blackwater, looking across at the Ballyministragh bank. This is a gate of a field in Ballyministragh. 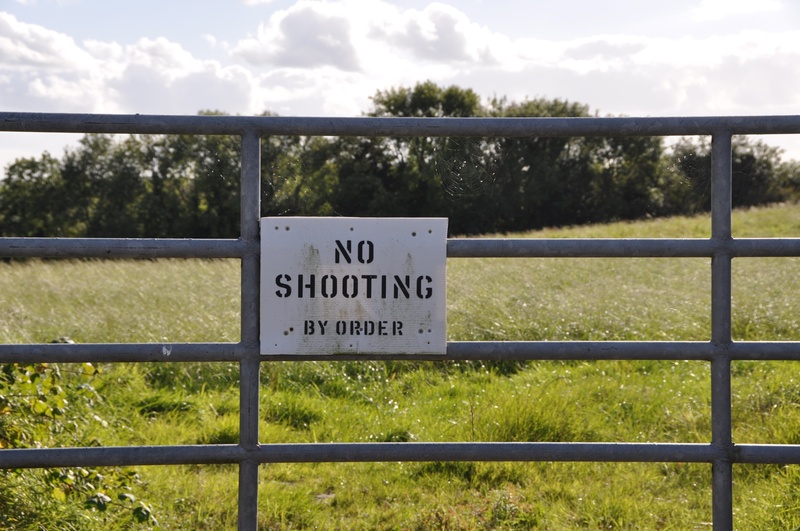 The “No Shooting” sign is up all year round, but pheasants were the main beneficiaries on the date of my visit, as their shooting season lasts from 1 October to 31 January. According to the PLACENAMESNI website Ballyministragh means “townland of the monastery”. There is no monastery there now. 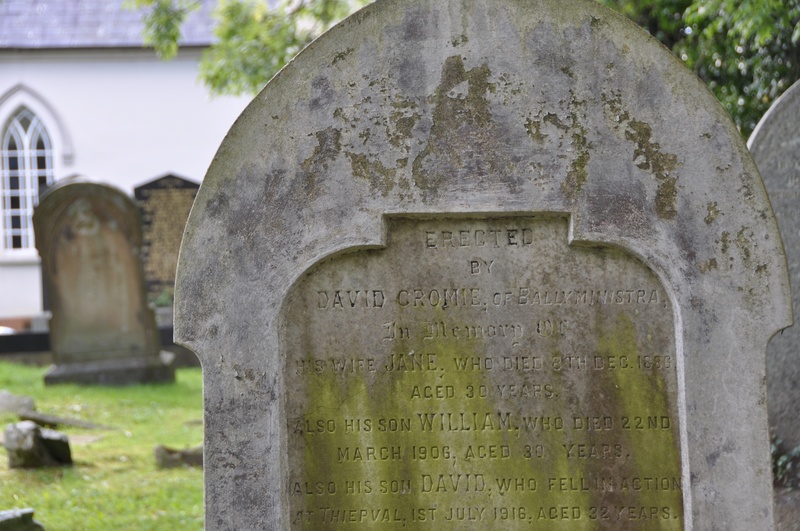 For the river photo, I was standing in the churchyard at Killinchy Presbyterian Church, where I found a gravestone from 1886 for the Cromie family from Ballyministra, spelled without the final “gh” . Which other townlands border Ballyministragh? To the north, the townlands of Tullynagee, Lisbarnet and Lisbane. To the east, Ballymartin and Craigarusky. To the south, Balloo. To the west, the townland of Kilmood & Ballybunden.